Here is a beer that I found at my local bottle shops around town. I do remember drinking this beer way before I ever thought about BeerMetalDude.com, but I don’t remember what I thought about it, so when visiting Doc’s Liquor Store one day, I decided to buy this beer again to give it a proper review on the site. A lot of my coworkers, customers, and friends tell me that I like way too many beers and that there has to be a beer or two that I don’t really enjoy. This one goes out to them! As I usually like chocolate in beer, this particular one was not satisfactory. Poured from an 11.2 fl. oz. (331 ml.) bottle into a New Castle Geordie Schooner Pub Glass. The beer was dark mahogany in color crowned with a think eggshell colored foamy head, which quickly vanished, leaving no lacing at all during this session. The aroma is faint chocolate. I was expecting more chocolate in the nose, especially that the chocolate is emphasized in the name of the beer. There is a slight boozy burn, and a dark malt profile with a bit of caramel and toffee. There is a very weird smell that reminds me of wet cheap particle board. Not very pleasing. 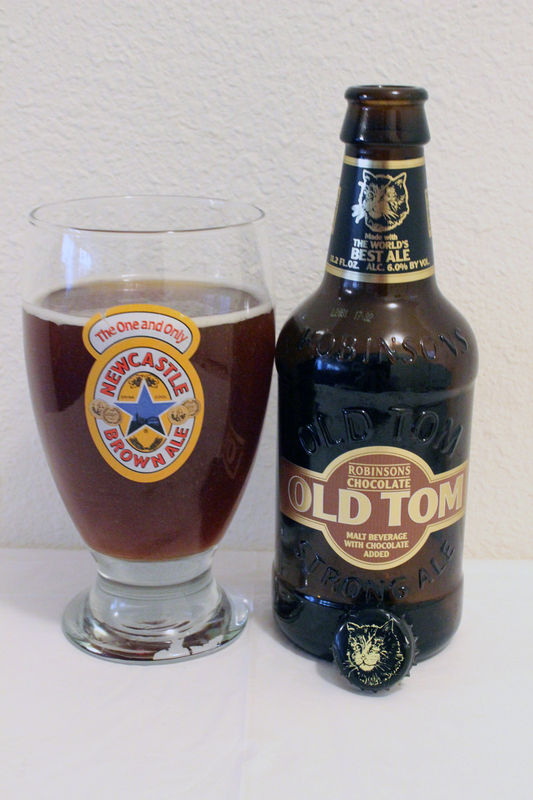 The beer hits your palate first with sweet chocolate, but more of a chocolate powder taste and feel. There is a body of malts with caramel or toffee flavors. The end and aftertaste has that funky wet particle board taste. The body was very thin. The mouthfeel was watery and flat with a dry, chalky finish. I am a fan of some imports, but I do not like them all, actually. I have had other beers from the Robinsons Family Brewers that were good, but this one was just bad, real bad. In fact, half way down, the rest got poured down the drain. I don’t do that many times, but when i do it is for good reason. Please understand that this was just my experience with this beer. You might actually find this beer to be pleasing. Remember, everyone’s tastes are different. Metal Connection: As soon as I saw this beer the first song that popped into my head was “Poor Ole Tom” by GWAR. 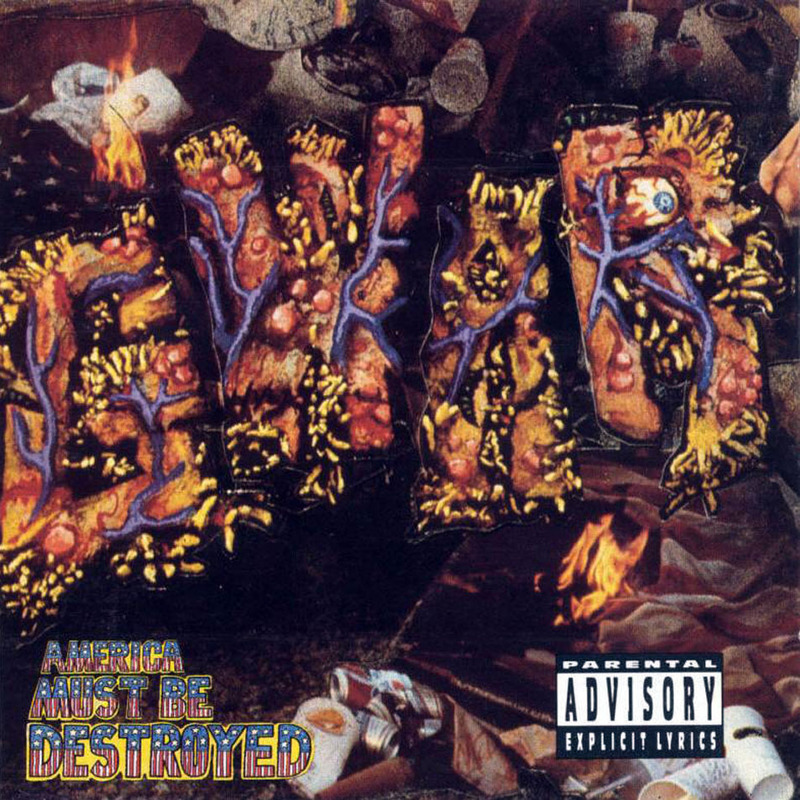 This song is from their 1992 full length album, American Must be Destroyed. The band had already gained success by this point in their career, but it sky rocketed due to the music video clip for the song “Gor-Gor,” which was played a lot during the music video playing era of Mtv on their Headbanger’s Ball program. Just like the beer, this Poor Ole Tom just doesn’t get it. I love some imports, especially Germans and Belgians. It is unfortunate this one was not as good. Have you tried the Samuel Smith Organic Chocolate Stout? Samuel Smith’s Organic Chocolate Stout is really good! I was hoping for the same thing with this one, but was definitely not met with the same results!